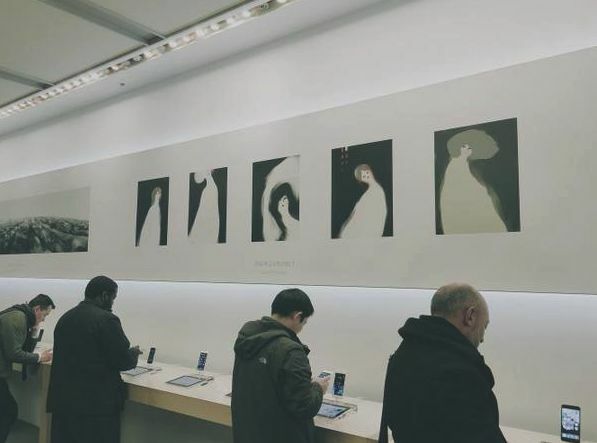 A new Apple online ad campaign called “Start Something New” has extended to Apple’s brick-and-mortar retail outlets — with the walls of Apple Stores being used to show off artwork created using Apple products. Apple first launched the online campaign on its Japanese website, before extending it internationally. It shows off work in which “every brushstroke, every pixel, and every frame of film” was created by artistic Apple users, using software like the third-party photography and painting apps VSCO Cam and Waterlogue, along with better known tools such as iDraw and Final Cut Pro, and in-built features like the iPhone’s Panorama mode. 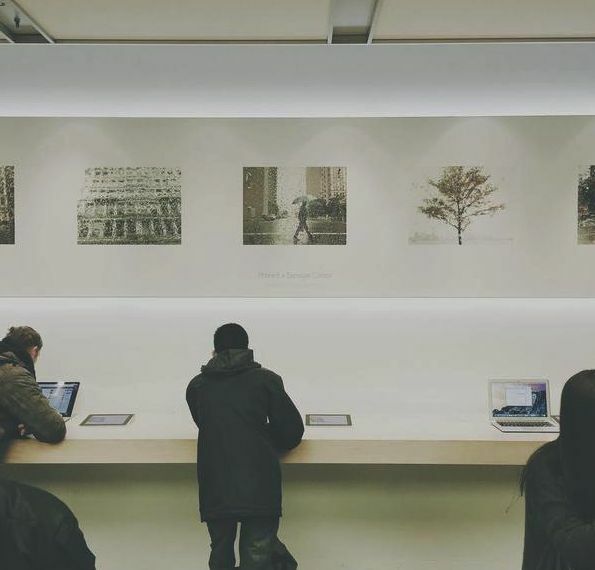 Like that first Macintosh, the art being shown off by Apple in-store is in black and white, although color versions of the images can be viewed online. 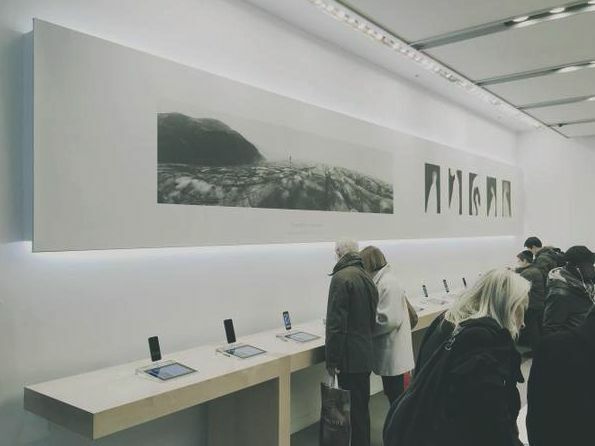 The photos have already been spotted in Apple’s Regent Street store in London, but let us know if the campaign has made it to your local Apple Store as well.